Hello all! Many of you have got some gear on your “wish list”. 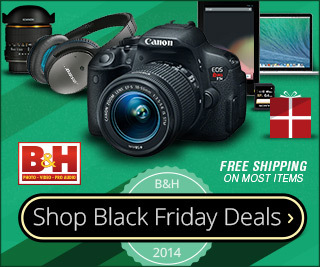 One of my partners, B&H Photo has got a lot deals for you. Purchasing through these links will both save you money and help support this website. If the banner doesn’t show up, just follow this link: Happy shopping!